Earth day is a perfect day to reflect on how Billy Casper Golf works to not only provide a great experience to our golfers, but also how we help protect our planet. Working as champions for the environment, we place maintaining healthy and functioning ecosystems at the top of our priority list. Our courses give us the opportunity to do this at a local level with policies that protect watersheds, promote biodiversity, and sustain natural resources. With good practices in place, we are able to protect the land and water, while sustaining the wildlife on and around our golf courses. We work with our courses to develop unique environmental plans that are deeply invested in wildlife and habitat management, water conservation, reduction of chemical use, water quality management, as well as outreach and education. 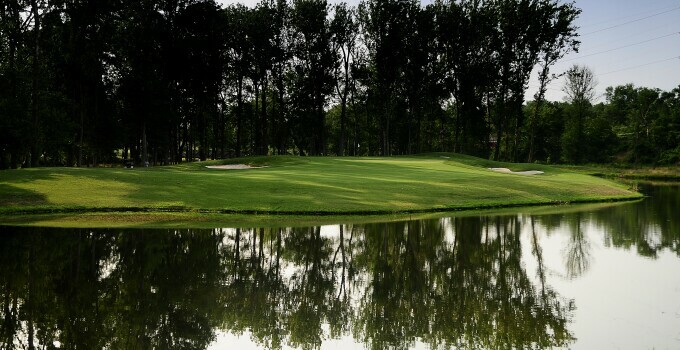 Leading the industry in environmental protection, Billy Casper Golf has developed BCG Green. This revolutionary initiative commits to manage turf in an environmentally friendly way that preserves our planet. As part of that initiative, all of our courses are enrolled in the Audubon International’s Cooperative Sanctuary Program to reduce waste and promote environmentally efficient operations. Many of our courses are even selected to become Audubon International Certified Sanctuaries. The Audubon Cooperative Sanctuary Certification Program for Golf Courses is an award winning education and certification program that helps golf courses protect our environment and preserve the natural heritage of the game of golf. By helping people enhance the valuable natural areas and wildlife habitats that golf courses provide, improve efficiency, and minimize potentially harmful impacts of golf course operations, the program serves as vital resource for golf courses. When you are out playing a round at one of our courses take a minute to stop and enjoy these efforts, knowing we are committed to working hard to preserve our Earth for future generations.